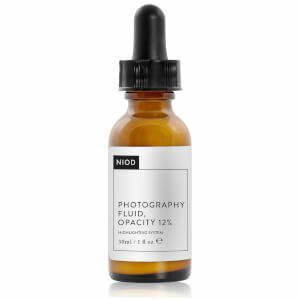 Multi-Molecular Hyaluronic Complex from NIOD (Non-Invasive Options in Dermal Science) combines twelve forms of hyaluronic compounds to plump and hydrate skin. Hyaluronic Acid delivers multiple benefits to skin, including providing intense hydration, promoting a plumper appearance, working as an antioxidant to shield from environmental aggressors, and preventing loss of elasticity. 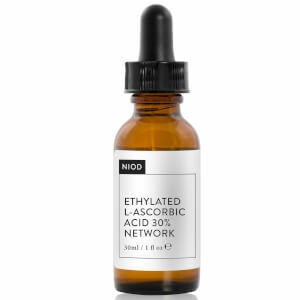 The acid supplies anti-bacterial and anti-inflammatory properties to repair and replenish skin. Throughout the ageing process, levels of hyaluronic acid decrease, so this advanced serum absorbs quickly into skin to target fine lines and wrinkles, revealing a youthful-looking complexion. Experience visibly hydrated, comforted and smoother skin. 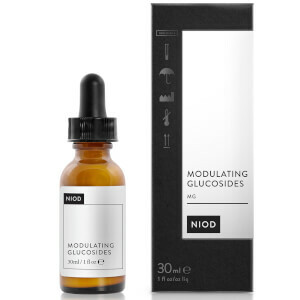 High molecular weight compounds such as Fermentation-Derived Hyaluronic Acid prevents moisture loss and increases short-term elasticity, whilst mid molecular weight Hyaluronic Complex offers short term hydration in the middle layers of the skin. Low molecular weight compounds penetrate into the deeper layers of skin to stimulate the body's own production of hyaluronic acid, whilst Enzyme-Reacted Glucosamine Amide HA Pre-Cursor (Rapid Reaction) increases fibroblast regeneration to boost elasticity. Yeast Oligosaccharide HA Pre-Cursor (Long-Term Reaction) and Bio-Yeast HA Pre-Cursor (Moderate Term Reaction) provide a 90.5% increase in skin natural hyaluronan synthesis, which effectively improves the skin's moisture levels for a healthy-looking complexion. Formulated with a Novel HA Pre-Cursor Peptide Complex, the innovative serum strengthens the skin's structure, whilst its Mushroom-Derived Hyaluronic Complex is a fungi-derived equivalent of the body's natural hyaluronic, which offers 400% more surface hydration. 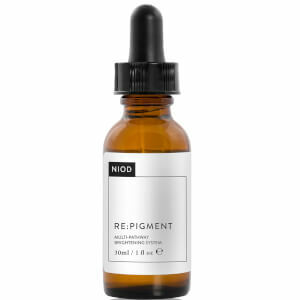 Recommended as a core NIOD regimen product to be used with Copper Amino Isolate Serum (CAIS). If used with CAIS, apply CAIS after cleansing, followed by Multi-Molecular Hyaluronic Complex (MMHC). If used separately, apply MMHC after cleansing before the application of other skin treatments. Apply a small amount to the entire face. Aqua (Water), Glycerin, Hydrolyzed Yeast Extract, Sodium Hyaluronate Crosspolymer, Dimethyl Isosorbide, Pentylene Glycol, Sodium Hyaluronate, Hydrolyzed Sodium Hyaluronate, Sodium Butyroyl Hyaluronate, Polyacrylate Crosspolymer-6, N-Acetyl-D-Glucosamine-6- Phosphate Disodium Salt, Betaine, Trisodium Ethylenediamine Disuccinate, Yeast Extract, Cetyl Hydroxyethylcellulose, Tamarindus Indica Seed Gum, Tremella Fuciformis Sporocarp Extract, Lecithin, Tetradecyl Aminobutyroylvalylaminobutyric Urea Trifluoroacetate, Myristoyl Nonapeptide-3, Magnesium Chloride, Sodium Benzoate, Potassium Sorbate, PPG-26-Buteth-26, PEG-40 Hydrogenated Castor Oil, Ethylhexylglycerin, Chlorphenesin, Phenoxyethanol, Polyglucuronic Acid.